Spurs which yet not won any Premier League title but to reach too close to grab it in last season. But unfortunately, they finished their last season with 3rd position where the Foxes claimed the first prize. So, they are desperate this season and has taken proper steps to grab the title this season. As per to do so, they have picked four players who costed them a huge amount. 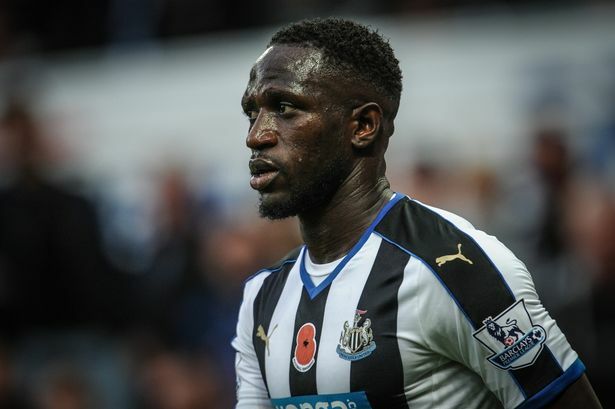 Among them, the largest amount spent to buy Newcastle United midfielder Moussa Sissoko who joined at the White Hart Lane for £30 million though, another English side Everton got him first and also agreed to meet such demand but failed to negotiate with the France international about his personal terms. In the meantime, Spurs secured his service and both parties seemed to be happy to complete this transfer. Sissoko told after joining at the White Hart Lane, he is very happy and desperate to do everything for the fans and team. However, the Frenchman has signed five years deal with Tottenham after just eleven hours rejecting Everton which proved that he was worthy and Everton made mistake. 27 years old Moussa Sissoko joined Newcastle United from his first professional club Toulouse in 21st January, 2013 with an undisclosed fee but the deal was for long which was almost six and half years. Though, he spent most time of his career with French club Toulouse where he also made his most 192 appearances and scored 20 goals. He played with the Magpies almost three consecutive season and made 118 appearances with them with 11 time scores. Though, his performance was not so impressive but would be dependable. According to the Hugo Lloris who is the current skipper of Spurs, Moussa Sissoko would be a very powerful addition and probably give them an offensive option. Besides, he has a lot of knowledge about Premier League where he spent almost three seasons here with Toon. Lloris also added that France international is very high profiled player because he has played for the national team. So, he would a kind of player who can able to learn from Spurs quickly. However, the Frenchman did not leave St James’ Park while he left plenty of times but in last season, Toon placed in 18th position on the Premier League point table and so, they were relegated from EPL to Championship league. Due to that when the former Toulouse player heard from Tottenham, he just took that. Sissoko is currently playing for the France national team and already played 46 international appearances with the national side.